Quality Quality Quality No Exceptions! is our philosophy. 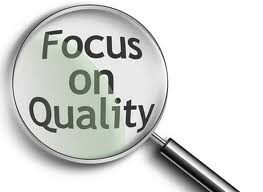 We strive to stay competitive but will never comprimise on our quality! Specialist towbar installations. Official supplier of leading brands Witter, Westfalia, Thule Brink, Bosal and Towtrust towbars. Offering a full range of Flange, Swan Neck, Detachable and Retractable towbars. 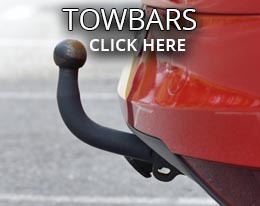 Our fully qualified and insured technicians with years of towbar fitting experience will ensure that your towbar and electrics are fitted correctly first time with no future hassles. As Bristol's only "Witter Approved Fitting Centre", you can feel assured that your car is in safe hands. 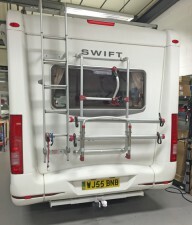 LNB are one of only a few specialist companies that supply and fit Motorhome Towbars. As distributors for motorhome towbars we can supply European type approved motorhome towbars to the trade, and also competitively supply and fit for retail customers, towbars to fit most motorhomes. LNB Towbars are suppliers of the market leading Towmaster A Frame System allowing motorhomes to easily tow their small car behind. 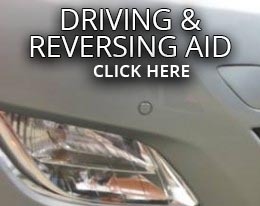 Installed with invisibrake vacuum servo electronic braking provides the perfect combination of safety and convenience. 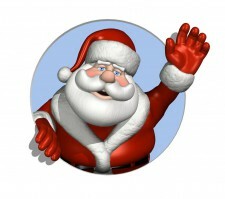 See our motorhome website www.lnbleisure.co.uk for more details. 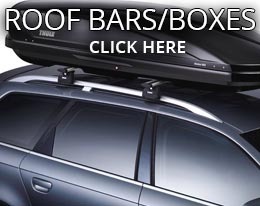 LNB towbars is a Thule Partner and stock a comprehensive range of towbar mounted bike racks to suit all budgets. 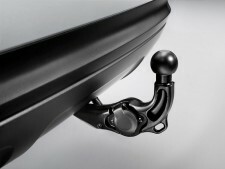 We carry a variety of towball mounted styles (ideal for swan neck and detachable towbars). Hang On Style, Platform Style and Folding, which can carry from two to four bicycles. Also catering for electric bikes. 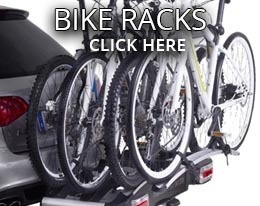 Come and see the racks on display and decide for yourself what suits you best. As an Official Stockist of Rhino Products, and Approved Rhino Fitting Centre we supply and fit Van Modular Roof Racks, Van Delta Roof Bars, Safe Stow Ladder Systems, Safe Clamp Ladder Clamps, Door Ladders and Pipe Tubes. Whatever Rhino products you need for your van we are here ready to supply you. And if you like, leave the fitting to us. Our professional technicians can fit it to your van for you. 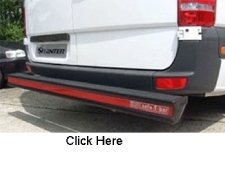 We are suppliers and installers of Hope Safe T Bar Van Bumper Protection Steps. The range consists of four styles Straight Bar, Recess Step, With Towing Facility and With Adjustable Towing Facility. These bars offer not only a rear step but a very strong protection system for the rear of the vehicle from knocks or forklifts, and are illuminated by a red reflective strip the length of the bar. Finding it difficult to manoeuvre your caravan into those tight spots? Do not fear. LNB Towbars fit Powrtouch Evolution electronic caravan movers. Whether its a single axle or twin axle, why not make life easier? If you choose to wait while your job is done, we have a waiting room with magazines, Free Wifi, Freeview TV & DVD Player or there is a range of things to fill your time locally, or take a stroll around the lakes. If it makes your life easier to make one daily trip to drop off or collect we can securely store your vehicle in our units overnight. Alternatively Take advantage of our free courtesy cars. Never have a puncture again ! Wear out your tyes with no nasty surprizes. Get preferential rates for insuring your caravan, motorhome, trailer or pet! Did you know you can buy warranty for your caravan or motorhome up to 15 years old from just £3.81 per week? complete piece of mind! see our warranty & insurance page for more info. LNB Towbars is a member of The Federation Of Small Businesses, The National Caravan Council, and Busuness Safe to ensure that our high quality standards and professionalism are maintained. 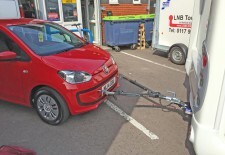 You can trust LNB Towbars to provide the quality you demand.